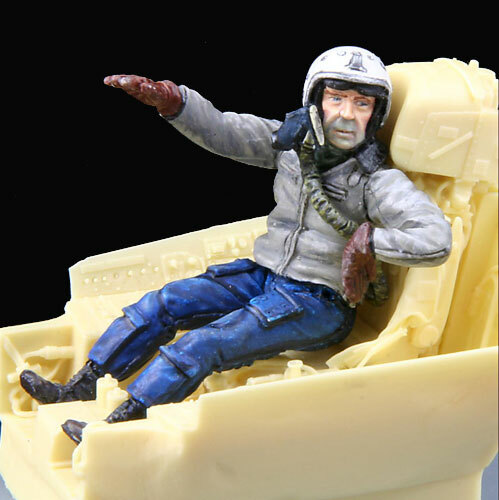 When MasterCaster's 1/32 scale Su-27 Pilot was announced, I could immediately see that it was designed to go into a Trumpeter Flanker. 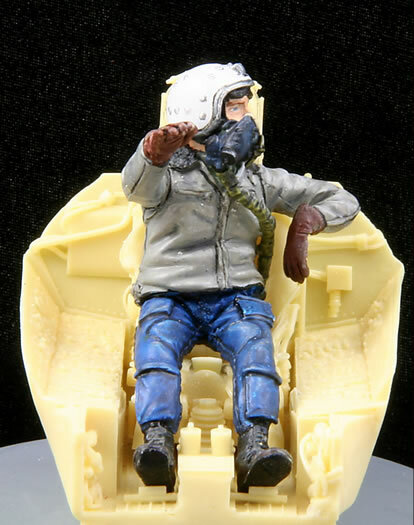 The pose was a little odd however with some imagination the modeller can see where the figure would fit, with his left arm on the canopy sill and right hand on top of the instrument panel. 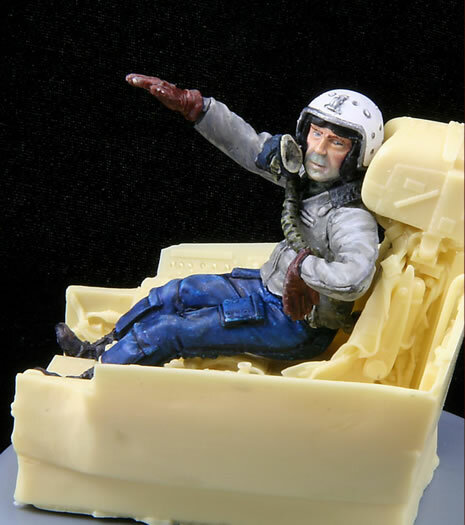 This makes his quite a useable figure instead of the mundane figures we often see sat in cockpits staring ahead. This figure is not designed to be used alone and there is a ground crew man who is designed to go with him. Together they will certainly look the part on the side of the big Flanker. I quickly found what I was after and set about painting again. I had almost finished him but after consulting the site I found additional detail and some that contradicted what I had previously done. 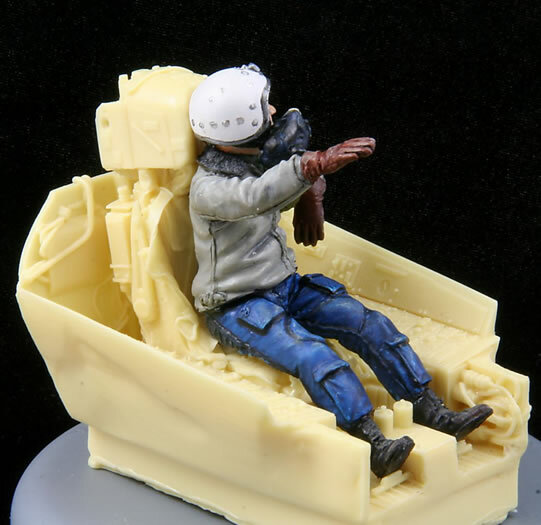 Once again the figure is sculpted by Jim Raynor and the casting is done in a soft light resin. The detail on the figures uniform is tremendous and well cast. I was a little unsure of the placement of the oxygen hose as in the kit as supplied it is straight. I found that by gently heating the resin over a candle I could bend it to fit where I wanted it to go. After a few minutes of fiddling I had it where I wanted it. I then, simply super glued it in place. Mastercasters web site shows him sitting in an Aries cockpit however I didn’t have that one and in order to get him to fit the Black Box cockpit I needed to do a little trimming. As before, no instructions are provided but with the use of the web site here you should find enough reference to satisfy your needs. Once again thank you to Mastercasters for tackling such dynamically posed figures. The figures retail for £8.95 through the MasterCasters website or any stockists of MasterCasters products.